Mountains in altitude 800 meters or higher still have snow and ski tracks available. For many Norwegians the Easter days is their last chance for some days off now in the end of the winter season. 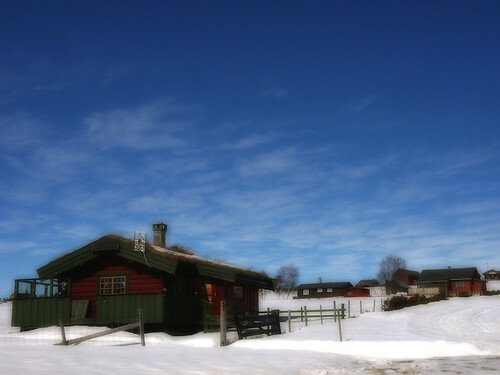 Presented here a small traditional mountain cottage in the popular low mountain region of Valdres (3hrs NorthWest of Oslo).